16 Apr FOUNDATION LOGO ON SHIRTS AT WATFORD GAME! 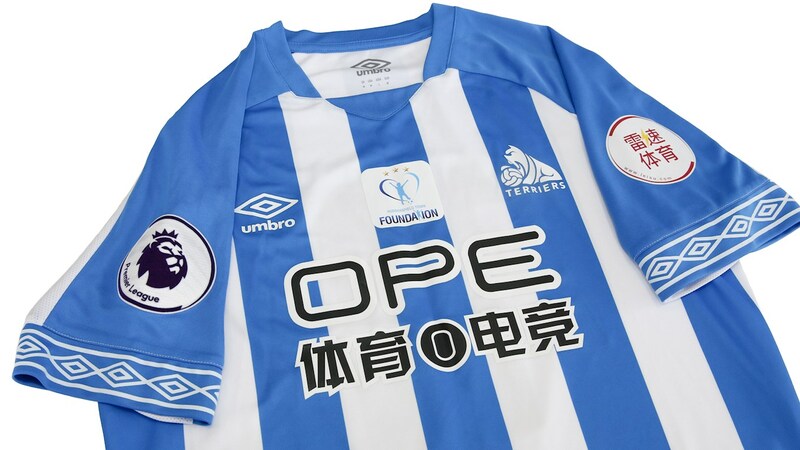 Jan Siewert’s side will wear the Town Foundation logo on their shirts when Huddersfield Town face Watford and you’ll be able to get your hands on one of the match-worn shirts! The Foodbanks celebrates a year in operation with supporters donating generously to help those who need the support in the community. If you haven’t made a donation before, why not use the celebration to make a first-time donation? The Match Day Programme will also carry the Town Foundation theme with the commemorative edition of ‘The Terrier’ highlighting some of the great work the Charity does! Why not get your hands on one as 50p of every copy goes to the Town Foundation to help support your local community.